Two novels (translated into French by Claude Payen), had tremendous success in China: “Leave me alone, a novel of Chengdu” in 2006 and “Dancing in the red dust” in 2013. “Chengdu” is available in English, and “Dancing “ will be next september. These two books created problems with censorship and deep cuts had to be accepted, but it is the story of a real and dangerous immersion in a mafia system of pyramid selling that will strain relations. The text, “A cure is needed for China,” to be published in French by Gallimard in October, won the prize of People Literature, but Murong Xuecun could not deliver his acceptance speech; speech finally made public in 2011 in Hong Kong. His critics are increasingly harsh especially as at the same time, his friend Ran Yunfei was imprisoned from February to August 2011. Murong Xuecun is at that time a star on Weibo, the Chinese Twitter, followed by 8 millions Internet users. But in May 2013, his Weibo accounts are closed and 200 000 characters of opinions and comments disappear. He will continue to open other Weibo accounts, although Weibo was partially “killed” by WeChat and its 500 million users. WeChat does not have the same ability to create a buzz and spread information and opinions, moreover measures were takev to severely punish bloggers deviating from the official line. Bloggers are becoming cautious, Han Han speaks more about racing or his young daughter than concerning social problems. 2- Invited to “drink tea”. In May 2014, his friends gather in an apartment on the occasion of the 25th anniversary of Tiananmen on June 4; many of them are arrested including the lawyer Pu Zhiqiang; Murong Xuecun is at that time in Sydney but his heart is with them. 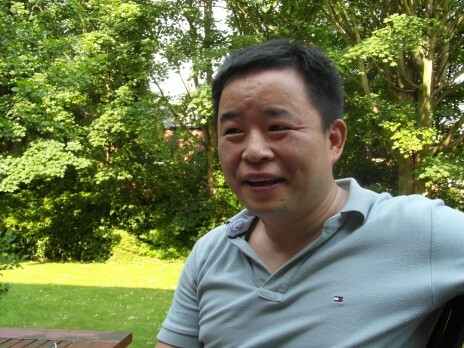 He reported to the police his return to China in June 2014, he is then invited to “drink tea” (a discussion with the police) but is not imprisoned. Last May, he was invited to New York by the PEN American Center. On the occasion of Book Expo America, the American book festival, the Chinese government has funded a considerable delegation of 500 people, 100 representatives from publishers and 26 writers. On the stairs of the Public Library of New York, Murong Xuecun declaims his open letter to Chinese censorship sent in 2013 after the closure of his Weibo accounts. Ha Jin and Guo Xiaolu read passages of works by imprisoned writers including Liu Xiaobo, Nobel Peace Prize. 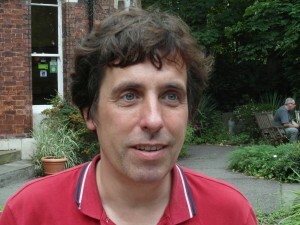 A small group of American writers are supporting such as Jonathan Franzen, who read a letter from Professor Ilham Tohti a Uighur sentenced to life imprisonment. Murong Xuecun has been one of the two “star”writers of the Leeds Symposium (UK). These meetings devoted to Chinese literature in recent years were attended by university professors, translators, publishers, agents and representatives of two blogs, Rue89 / mychinesebooks and the anglophone translators blog “Paper Republic”. On this occasion, Murong Xuecun, agreed to answer some questions, focused on literature, with the help of his translator/editor Harvey Thomlinson. Your protest activities mobilize a lot of energy, is writing still at the center of your life? Without any doubt. I had trouble finishing a novel, but now I work with enthusiasm on “A New Era”, not a reference to Orwell’s “1984” but to China in 2072, a closed country, backwards and poor where people do not have really emotions or indignation capabilities. Despite all my travels, I try to write at least two hours a day. This book will be released in Hong Kong or Taiwan; I hope that the controls on publishing, that are developping in Hong Kong, will not be too strict. Your articles published almost monthly in the New York Times raise much interest. It is an experience which was started by Yu Hua. It is quite complicated to be limited to a thousand words especially when it comes to rather serious subjects; Harvey often has difficulties to translate because I use word play and several varieties of languages. These articles are not published in China, but I often have interesting and pleasant reactions from readers for example to a recent article where I underlined the impact of the Communist Party and its propaganda on the Chinese language. Only last April did I publish negative comments; previously there had been statements that I did not like but I said nothing. I was very surprised by his comments about the President’s action on the fight against corruption and control of the internet. This article looks like propaganda and states that to support the action of the Anti-Corruption Commission, he will himself write a novel about corruption! Some of my friends think he adopts this attitude because he is worried; it is said that he has been close to Bo Xilai (the recently jailed rival of Xi Jinping) and that he even wrote a poem praising him. What do you think of young Chinese writers? This is not a good period for literature in China; often when I attend meetings with writers, journalists, intellectuals, they talk mainly about stock prices! Moreover, some who were able to publish a promising novel do not continue and prefer to create a company and make money. Do you have many contacts with writers? Yes a lot; some are friends like Feng Tang; others are older people I have enjoyed meeting like Gao Xingjian. I’m also interested in what Yan Lianke writes. Yu Hua has courageous positions; his latest book “The Seventh Day” is a novel that I maybe liked less than “China in ten words,” a remarkable and moving collection of essays. You are less positive about literature on the internet? In 2010, you asked the question “Is the Cultural Revolution over? “. What about today? This question started my critical attitude as an intellectual. Since then, I understood more deeply what had been the Cultural Revolution. There are many more restrictions and censorship in recent months than in the 2000s but I do not think that Xi Jinping has the power to bring us back to the time of the Cultural Revolution. Murong Xuecun, ” Oublier Chengdu”, Editions de l’Olivier; 2006, 380 pages. 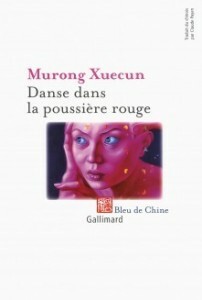 Murong Xuecun, ” Danse dans la poussière rouge”, Gallimard- Bleu de Chine; September 2013, 570 pages. 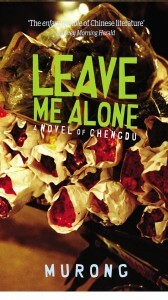 Murong Xuecun, “ Leave me alone, a novel of Chengdu”, translated by Harvey Thomlinson; Make Do Publishing, 2014. Murong Xuecun, “Dancing in red dust”, translated by Harvey Thomlinson, will be released next september.